It is easy to connect WiFi through your Windows 10 PC. But the difficult part is how your friends can connect to your PC. 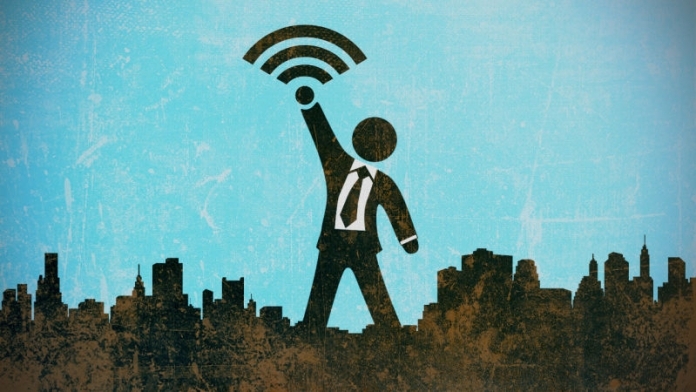 Nowadays in Internet connection is the basic need and the Wi-Fi is the source of this basic need. Windows 10 is the latest and popular available OS. Everything leads to a question how to create Windows 10 hotspot. 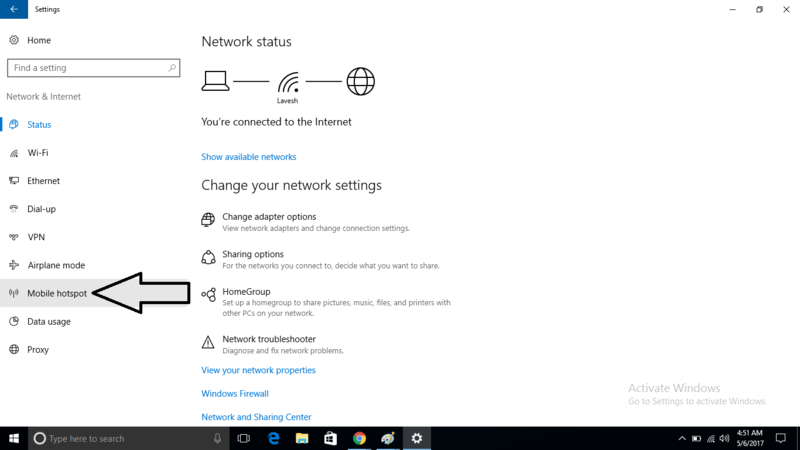 Not only in Windows 10 common you can create a wifi hotspot in any windows. Here you will know how? There are basically two methods to create Windows 10 hotspot. But for other Windows there is only one method, I will include both. One method is universal and the other one is just an alternative to that method. Also Read: How to Create a Bootable USB drive in Windows? 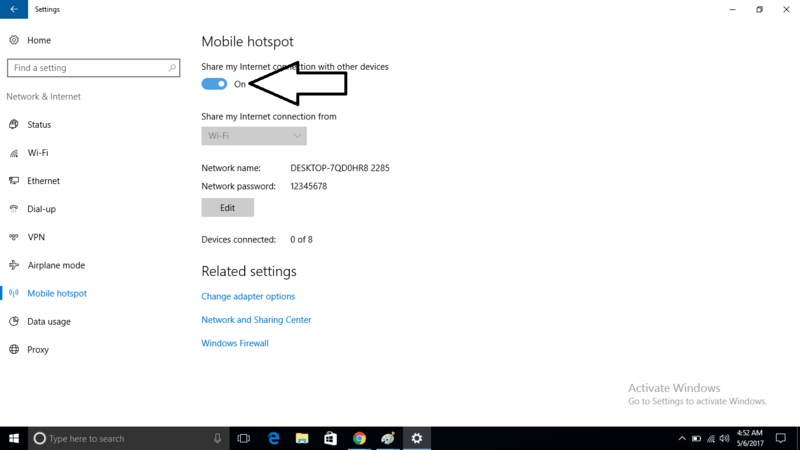 Let’s not keep you in suspense and just tell you how to create a Windows 10 hotspot. Command prompts to create a Windows 10 hotspot. To enable hotspot settings by this method you need to check some settings of your system, by this, you will check your computer’s physical wireless adapter can support by using command prompt of Windows. Open the command of your Windows and type “NETSH WLAN show drivers” and press enter. When you press enter there you see an of drivers on your screen now all you need to check is “Hosted Network Supported” it will be yes. If it was yes then you can proceed to the further steps. Steps to create wireless hosted network in Windows. Go to the search bar of your Windows and type CMD and run this as an administrator by right-clicking on it. Enter this command in the command prompt, but change SSID_Name to the name what you want to set. And change Password is the security key of your Windows 10 Hotspot, remember the security key must be at least of eight characters in length. 2. After entering your Hotspot name and Security key, type this another command to enable this. Share your Internet connection with the Hosted Network. Now in the upcoming steps, we are providing the permissions to the hosted network so that it can easily use the Internet from our system. Go to the search bar of Windows and type Network Connections then press enter and you will see a window like this. Now, right-click on the network adapter from which you are getting your Internet connection and select properties, in our case we are using a WiFi connection in our laptop, so we are selecting WIFI. NOTE: In our network connections you will see an additional wireless network connection, to which is the connection that we made from the command prompt. The hotspot that we made after completing all the steps is the connection which is Local Area Connection* 13. After selecting the properties option go to the sharing tab. Check on the allow other network users to connect through this computer’s Internet connection. Now in home network connections next to the option you checked you will see a dropdown menu select Microsoft Hosted Virtual Adaptor. In our case it was “Local Area Connection* 13“. Now you can see the connection that you created in your system in any other device which has Wi-Fi. You can enjoy your hotspot connection. There are very inbuilt options in latest Windows that you don’t know like this. 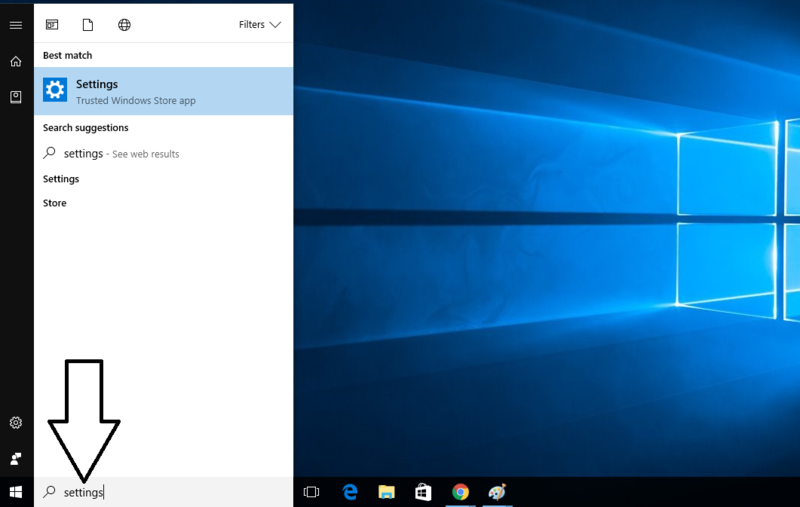 You can read all amazing unknown feature of Windows 10 here. 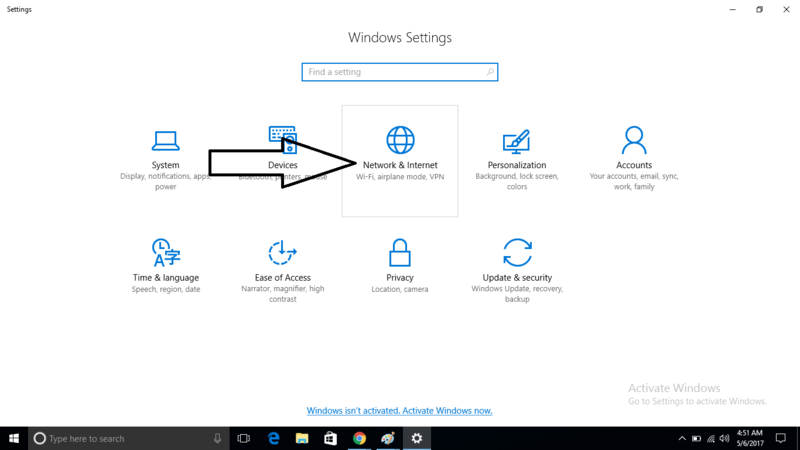 In the latest version of Windows which is Windows 10, the hotspot feature is present in the settings menu. Go to the search bar of the window and search for settings. Then the settings tab will open where you find Network and Internet option. Click on the Network and Internet option then on the right side of the window you will find Mobile Hotspot option. 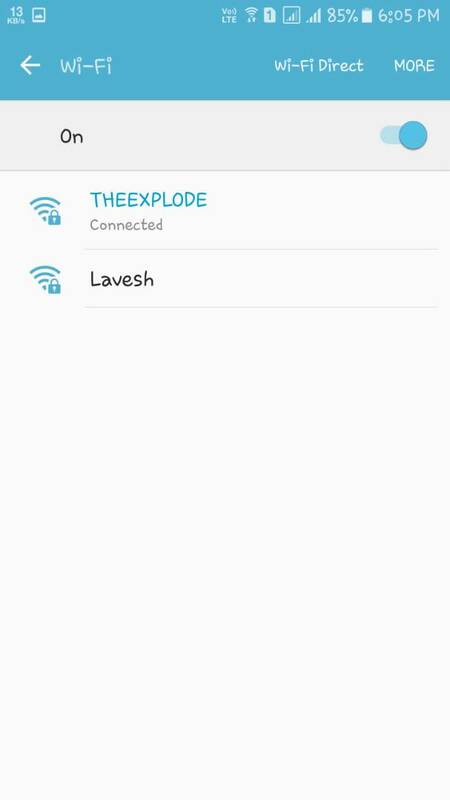 In the top of the screen you will find and on-off switch, this is the switch off your hotspot but I refer you to first set your Network Name and Network Password. 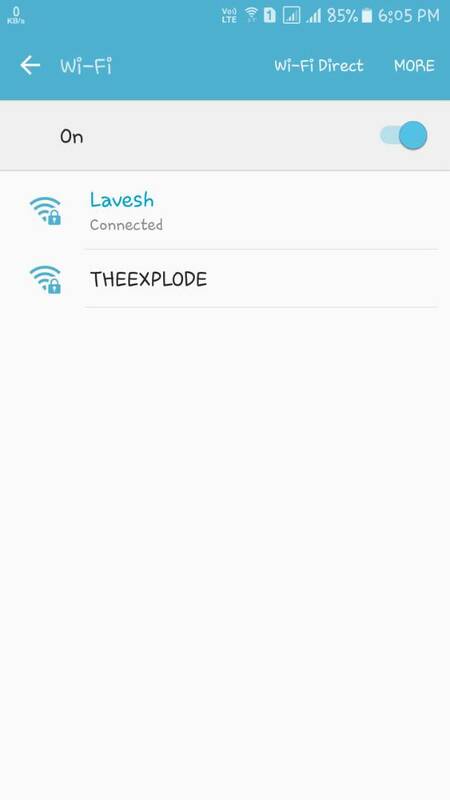 From there you can set up your hotspot easily. And when you don’t need of this hotspot you can switch that off by the switch which is present on the top of the screen. Also Read: Safe your PC from data stealing. Steps to stop your hotspot connection. You can stop your hotspot connection by two methods first one is simple and second one is using command prompt again. The simple method is you can go to your network connection page and just simply right click on your hotspot connection and disable it you can see the example image down below. The second method is open your command prompt and type the following command and hit enter. If you want to start your hotspot again any another time you can just type this start variant of the command to allow other devices to connect with your hotspot. we are giving you the start variant down below. Similarly, you can use this other command in your command prompt to allow and forbid wireless hosted network. 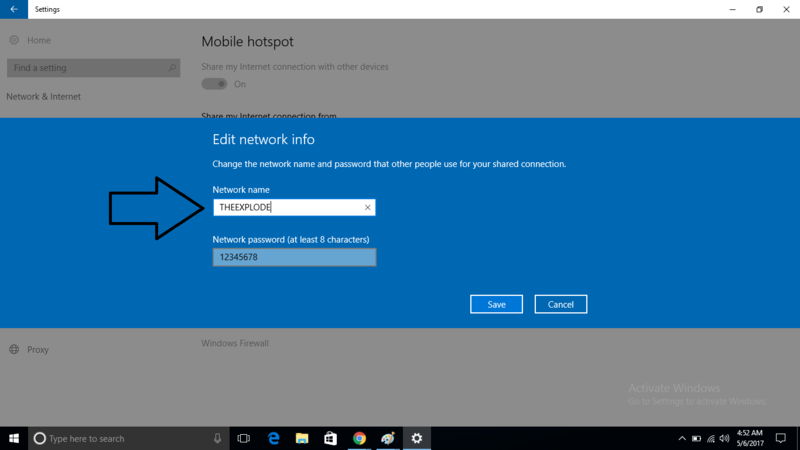 How to Change Name and Security Key of your Windows 10 Hotspot. If you want to change the name or SSID and Security key for any reason, you can do just by simply using these commands. View your Current Hosted Network Settings. If you want to see the settings of the Hosted Network that you just made, you can use the following two commands to see the settings like SSID name that you are using, the number of users that are connected to the Hotspot, type of Authentication and Cipher. Enter the command in the command prompt to see the settings, and if you want to see the current network security key and all the above settings together, you can use the following command. You have done all things to make a Windows 10 Hotspot. Now Enjoy the Hotspot and Share your Internet with your love ones. If you have doubt in any step then comment below. Previous article7 Best Video Player for Windows for better watching experience (2017). Next article6 Best free HTML Editor on Windows, Linux & Mac in 2017.